A few days ago I realized that I was coming up on my 600th post. When I started this blog almost 3 years ago I couldn't imagine it would become what it has. Some big moments over the last 600 posts. Sharing Elijah's journey with Leukemia. 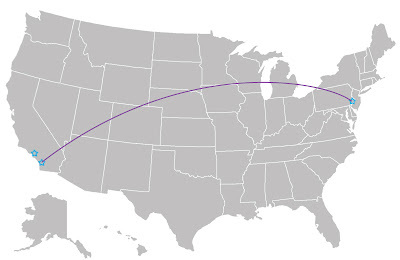 Announcing that I'd be moving across the country. Telling you about my book, Skip the borders. Too many to list them all!! THE RULES1. Leave ONE comment to enter. Tell me what you are working on right now! --You have until 10PM PST time Sunday, May 6th to enter! a quilt a friends daughter started and asked me to finish. Also 3 bags to say thank you to girl scout leaders. Congratulations! 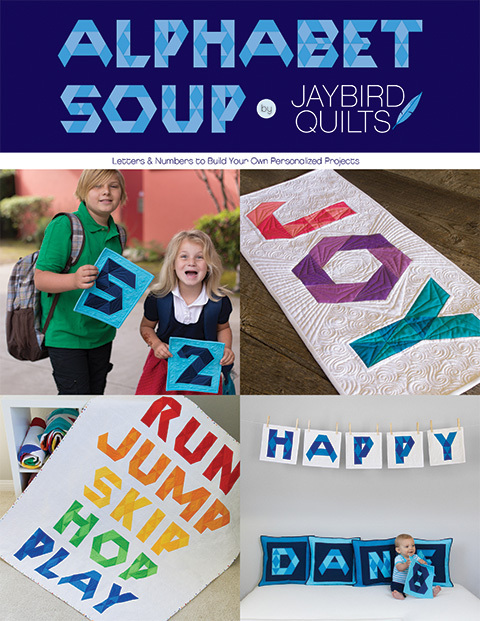 I love reading your blog and admiring your quilts. I am currently working on a Christmas quilt and waiting on fabric to arrive for a wall quilt. Such fun! Congratulations on your 600 posts! And thank you for a very inspiring blog! I am working on an Off The Rail quilt. It will be king sized and a Christmas gift for my daughter. She will love it! Congrats on your 600th post! Julie, congrats on that 600 post! I'm working on a "DNA String Quilt" right now. Congratulations Julie on your 600 post...it has been a real journey for you; and you are doing great!!! Right now, I am hand quilting a commissioned sampler quilt. Besides that; I am piecing items such as table runners baby quilts and cushion covers to sell this summer during tourist season. Congratulations on 600! I am currently on bed rest in the hospital so I am fussy cutting squares for a polaroid quilt. I figure when else am I going to have the time to cut out all those little squares? Awesome! Right now I'm working on some dresses for my niece and a baby quilt. 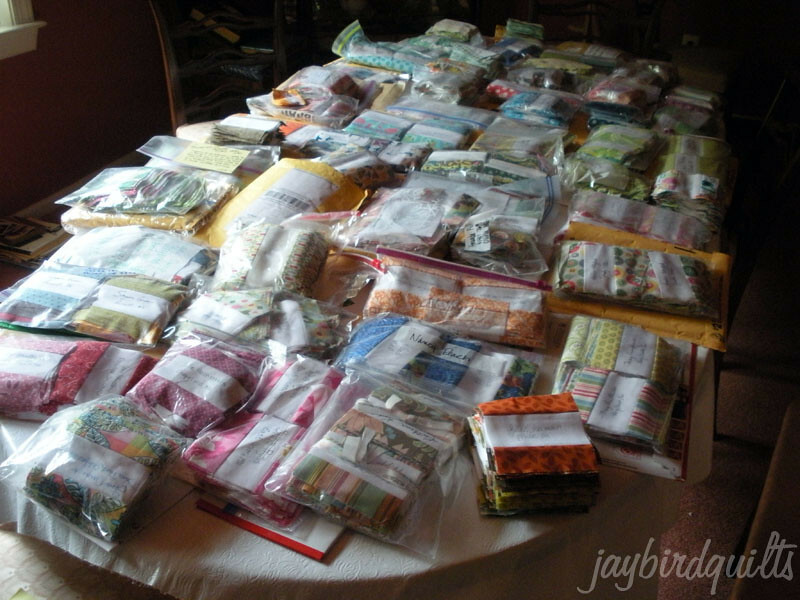 Right now is a bit of a stretch but the most current project has been dresses for charities. Spring dresses for local homeless kids and another small stack going to Africa. Still have more to do. Congrats and thank you! Ive been inspired by MANY of those 600 :) Right now I've got a pile of nearly-done projects to finish up. And a Kindle with no case, so I've been looking at patterns and tutorials, thinking that will be a project very soon. I working on the swoon pattern for my sisters wedding gift. Congratulations on the 600th post of this amazing journey! I am so proud of you! 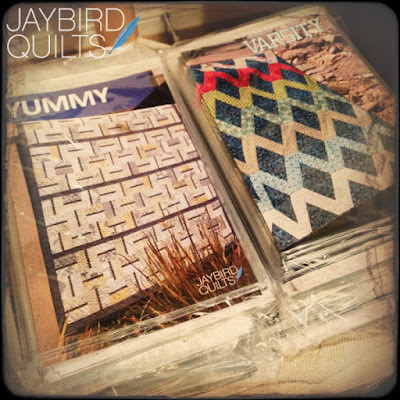 I am working on bagging all those "Yummy" patterns to assist you in getting ready for Market! Yay for you! At the moment, I am working on "The Generals' Wives" BOM. I have to quilt my sister's birthday lap quilt. I may have it done by her *next* birthday. Thanks for the giveaway. I'm working on finishing a mini-quilt inspired by a trip to Salt Lake City, and starting plans for making a quilt out of primarily text fabrics. ^00 Congrats to you! I am teaching three girls to sew and quilt. I am making a baby quilt for Jack. yay for 600 posts! that is great! i am currently working on bags for my esty shop, and a quilt for our bed, and some knitting, oh and a t-shirt quilt for my husband's former boss. lots to do! Congrats on reaching 600 posts! I'm about to start working on a knit sweater for my infant daughter! Quilt-wise, I'm making a quilt for my brother-in-law as a wedding present. It has a space theme, and it's turning out better than I thought it would. Julie ~ Congrats on 600 posts! Quite a feat! Thanks for sharing so many milestones! I am working on an online mystery quilt! Congrats, right now I am working on a memory quilt for my son's second grade teacher. Almost done with the top. 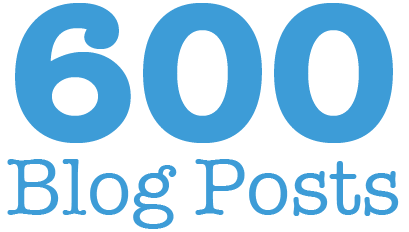 Happy 600th post, I love reading your blog. Right now I'm picking out fabrics for the Schnibbles quilt Doc. Congrats on 600 posts! I'm working on a floral wall hanging for my Mom for Mother's Day. I can't remember the last time I second guessed so many fabric choices! That's a lot of post. Congrats! I'm sewing binding on a new quilt for my bed that just came back from the long arm and working on a twin sized Bizzy Kid quilt using a pattern from Cluck Cluck Sew. I'm working a quilt for my good friend who chose the fabric and (the world's most complicated) pattern! I'll be picking the patterns in future! Congrats on the big 600. I have 2 quilts in progress, a rainbow scrappy quilt and an airpane print. Then there is a finished top waiting to be quilted!! Love your blog! I'm not working on anything right now...but I have some bakeshop projects in the wings. Just finished a large quilt for my niece. Congratulations! I'm working on a pineapple quilt for my youngest grandbaby. I am working on getting caught up with my Craftsy BOM blocks and have a stack of finished quilt tops waiting to be basted and quilted. Congrats on your 600th post and thanks for the chance to win! I'm working on a two-zip hipster bag. HUGE congratulations to you Julie. I hope you continue as you have and continue moving up. I'm sure you have great things ahead with your patterns and everything else. BUT, right after that I'll be doing more baby things for my Granddaughter and also for her Momma. I think Momma needs a purse or possibly a diaper bag so that's my plan. BUT, I might have to ammend that if I change my mind as I often do. Congratulations! Currently I'm working on new covers for our living room throw cushions. Lots of fun! I just bought the fabric to make a graduation from Univ. of Kansas quilt for my newphew. How come I am trying to do this in the next 2 weeks when I knew for a year that he would be graduating? Cutting it out tonight and get it to the longarm gal by Thurs. I'm working on a quilt for a dear friend who just lost her mom way to young. Congratulations on the past three years! I'm working on a quilt for my daughter to have backstage @ her ballet recital of Peter Pan and a quilt for her 2nd grade teacher for teacher appreciation week @ school w/ all the kids' handprints on it. Congratulations on all your success! Thanks for sharing your talent with all of us! I'm putting the binding on a scrappy bull's eye quilt. Thanks for the great giveaway! I'm not working on anything right now, but I really really need to start on something for my son and new daughter-in-law! LOL! Congratulations on your 600th post and congratulations on all the accomplishments in the last three years! Right now I have the air conditioning turn to 65 and am getting ready to make an autumn themed pumpkin quilt. Congratulations and I hope the coming years will be just as successful! I am presently doing some FMQ on a quilt. Would love to win a pattern of yours, so thanks for the giveaway. Congrats to you! I'm currently making a wedding quit for a friend using Echo. I'm working on finishing some of my WIPs. Wow, I'd love to get a hold of some of your patterns. The new book coming out soon looks awesome too. I'll put that on my wishlist for sure! Happy 600! Right now I'm working on a Christmas quilt and a variety of BOMS and older projects. I need to finish something! I found your blog a year or two ago and I am so glad I did! I am working on. . . nothing! It feels kind of good not having anything hanging over my head. Congratulations :-) I am working on a patchwork tablecloth for my mum in law's birthday. It is ready for backing but I've run out of steam. I'm making covered journals in front of the TV in the evenings, enjoying the slow hand embroidery and trying out new stitches. Thanks for the giveaway! I'm currently working on a kitchen window quilt. And a squares within squares quilt. CongratulTions! Right now i'm doing a scrappy QAYG and a citon and grey strings quilt. Thanks! I'm working on a sewing machine cover right now. Sadly no sewing at the moment as I am studying, but hopefully that will change soon. Love your patterns. 600 posts is a lot! Congratulations! I'm working on Tshirt quilts for graduation gifts! I'm working on my blocks for the Craftsy block of the month. I'm a little behind... Moving has put a snag in my sewing. Congrats on your 600th post! A REALLY BIG 3 YEARS FOR YOU! I'M WORKING ON A 24" SQUARE WALL HANGING OF "PURE" FROM SWEETWATER SCRAPS AND IT MIGHT TURN OUT CUTER THAN THE ORIGINAL "PURE" QUILT! THANK YOU FOR ANOTHER SWEET GIVEAWAY! I'm currently quilting a Vintage Star Quilt (from In Color Order.) It's looking good! If I win (fingers crossed) I can be reached at lesliepking at comcast dot net. Congratulations! Currently I am working starting to buttonhole stitch around fused monsters and turtles for 2 different quilt tops. One for my 4 year old son and one for my 5 month old nephew. Can't wait to see how they turn out! 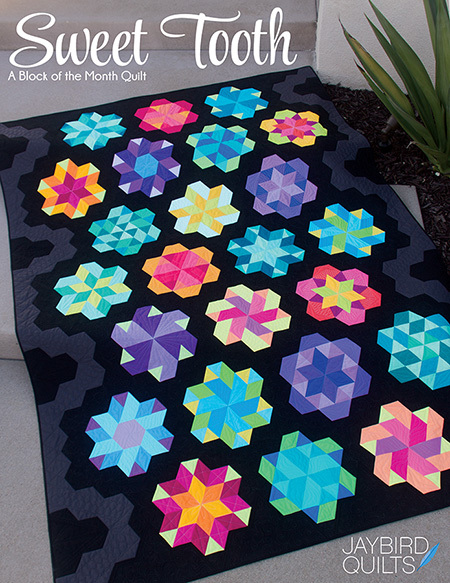 Congrats!i'm working on the neverending Swoon quilt. Someday it will be done! Congrats on 600 posts, Julie! While I have several quilts at various stages I'm working on, a stack of baby wash cloths is currently next to my machine ready for me to stop stitch them. I have an incredibly adorable nephew who I hope will enjoy the minky on the back. Right now I am working on a Quilt for Kids quilt. It will be for a girl, pinks and greens. Congrats on all your wonderful milestones! Hi Julie, congratulations! 600! that really is worth a celebration: glad you've chosen us just to do that! I'm working on a quilt for Siblings Together, a UK charity for siblings in different foster families. I have purses all over my sewing room. Some are for mother's day gifts and others are because I had the time and fabric. Congratulations on your 600th post. 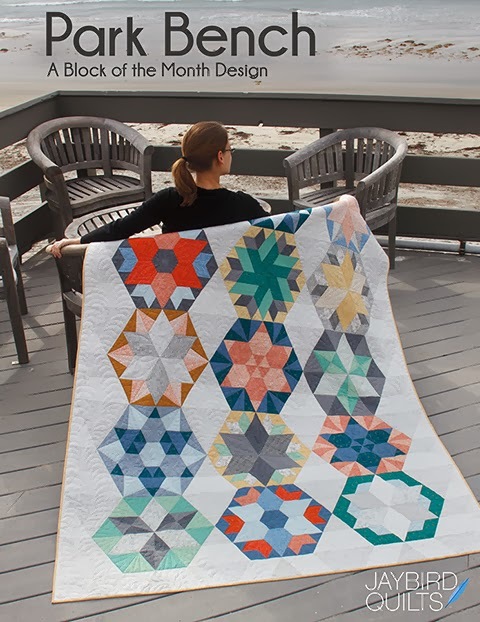 Coincidentally, I'm working on finishing my Hexagon quilt from your quilt along - was that 2 years ago? Would love to have your new patters & can't wait to peruse your book. 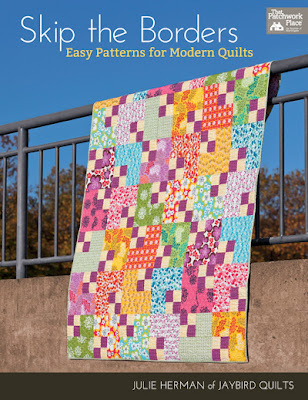 Congrats Julie on your blog, patterns and new book. Currently I am working on two quilts. One for my 8 yr old nephew, Matt. And the 2nd project is for my husband, 40th birthday (6/26/12). His quilt is from the Carolina Patchworks: The Fina Art Series; Starry Night. I read a novel recently in which you were thanked in the forward by the author for your input. I am working on some pot holders currently - several different styles, including mini mitts for the microwave. They will go into the treasure box as prizes and give always on my bus trip next week to Berlin, Ohio. Congratulations! 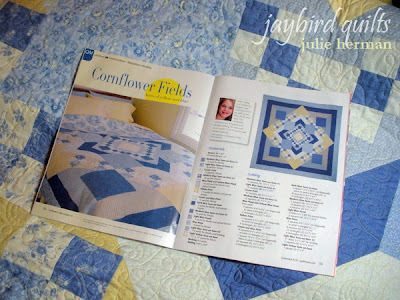 I really enjoy your blog with it's modern twist on the old art of quilting. Love your color sense. I'm working on a wool floral applique wall quilt and a Halloween pieced and applique quilt. I've been working on reorganizing my sewing room and getting stuff up off the floor. Having a less cluttered space has made me feel like actually working in it. So I finished a table runner and just have to stitch down the binding on a picnic quilt and I can cross those items off my to do list. Congratulations on 600 posts! Congratulations on 600 posts. Quite an accomplishment. It was wonderful to see your journey from the beginning. Currently I am working on making samples for my very first quilting class - that I will be teaching. Wow! 600 posts! Congrats. I just finished sewing the borders on a graduation quilt for my granddaughter. I used Bonnie K. Hunter's "Crayon Box" pattern. Each center 4" square represents something in Meg's life. wonderful giveaway. I'm working on quilting a queen-sized quilt - it's beating me up! Congratulations on the 600th post! I am working on a bed size log cabin quilt right now,next step is basting and quilting, then starting a double wedding ring. Thanks for the giveaway! Congratulations! May you have many more posts with many more "firsts." I just finished 3 blocks for BOMs I am in. First is the Anvil block done in "Amish" colors for an on line group I am in, then two for guild optional blocks. I am actually ahead for guild blocks now! Woo hoo! Great give away, too! Thanks for it and a wonderful blog! Well someone has been busy these past 3 years! :) Thank you for sharing your journey with us so generously! Just moved our college girl into her first apartment and she now needs a new quilt for her bed. The one I made her was only a twin size and now she needs a double so rest assured, I would let her chose from your patterns. Oye - she'll probably tell me to make all of them because she won't be able to choose! LOL. I love the cover quilt on your book - I may have to make that one for ME! 600 posts, oh wow! I'm binding a huge Kitchen Sink (scrap) quilt at the moment and starting an Arrowhead design in black and coffee colours. I have several of your patterns ready to go for a group retreat at the end of the month. Hugz Fran. Congrats on 600 posts! 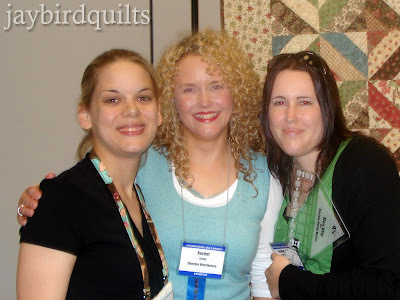 It has een a joy learning from you and seeing quilting through your eyes, may there be many more posts to come! Thank you for sharing your life and your talent. I am currently making a dress for my granddaughter. Congrats on your 600th post! I love your blog. I am working on a wonky star quilt, my most challenging quilt so far, and I am almost finished! I`m working on three BOM,Dear Jane and some little projects. I'm working on a variety of six inch blocks to make into table runners. Thanks for the chance. Congrats! I'm currently working on a quilt for my son: Chinese Puzzle block. Thank you for the chance. I'm making a quilt for my in-laws with some Fandango fabric! It's going to be so pretty! birthday and planning a quilt for a new grandbaby due in Nov. I like reading your blog - congratulation. Congratulations! I just cut out matching sun dresses for my daughters (ages 2 and 15 mo.). My 2 year old already is making her own fabric choices so I'm really looking forward to teaching her to sew one day. 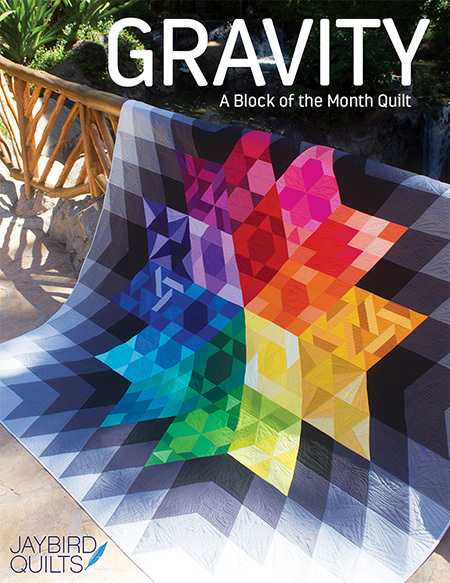 Thanks for the chance to win your quilt patterns! Congrats! Im working on a paper pieced block and a quilt for my dad. Wow - that's a lot of blog posts! Love your style - keep it up. Working on right now - nothing! Just finished a big quilt and have lots of things I should be doing, but I'm enjoying being outside right now. Wow, congratulations! I don't remember seeing that book so I'm going to put it on my amazon wish list right now. My current project is a baby quilt that I'm making for my daughter's speech teacher using Riley Blake Scoot. I'm working on a quilt for my husband, its a stack and slash quilt with not a flower in sight...he should love it. Congratulations on your 600 th post you have achieved a phenomenal amount in that time! Congratulations on 600 posts! That's alot of talking and crafting! As usual, I have too many projects going at once. What I should be working on is the 3 baby quilts that need quilting. I am working on a baby quilt and it has kites on it. Thanks for the giveaway! I am working on a signature quilt for my neice's wedding. I will complete it after the wedding. I have been working on a Come What May quilt. However, right now I am mostly working on cleaning, organizing, and furnishing my craft room. Congrats on your 600th post. I am working on an anniversary quilt for my best friend. We have been friends for 20 years. I am quilting 8 quilt tops! I somehow have been making all these tops but not quilting them so I have the machine set up and it's quilty fun here! Congrats! That's very cool. RIGHT NOW I'm working on a pouch for do.Good Stitches FAITH circle's little swap. I can't wait! I can't believe it's been three years. I've been reading your blog for quite some time. It is very rewarding to see your changes and growth (and so exciting to see you in print!). I'm working on packing. Boring, yes, needed, yes. A Pezzy quilt for my son. I'm working on finding some inspiration right now. I have to make a baby quilt this week and can't seem to find my mojo! Can't wait to see your new patterns. I'm working on a raw edge applique quilt of animals and the alphabet for my son. Congratulations on 600 posts! I have read your blog for a long time. I am working on a number of larger mug rugs today, heavily quilted. They are making me smile. I would love to try your patterns, thank you for the give away. Congrats, that is a fantastic milestone. And you have achieved so much in that time. I am working on bee blocks at the moment. Congratulations on reaching such a wonderful bloggy milestone! You've come a long way, baby! (Just dated myself, didn't I?) I am about to start pin-basting a full-sized quilt for my niece who is getting married - yikes... just a little nervous! Right now I'm slowly but surely plugging away on a wonky star quilt with 1800's shirting fabrics...not the usual style of fabric but I'm really loving it! Sewing the blocks for a Hugs & Kisses quilt for my son and a spring, well now it may be summer, bag for myself. Oh I've got a roster of swap items to get finished this weekend....Thanks for entering me in your draw. Congratulations on all of your awesome accomplishments AND 600 posts! I just finished a quilt last night using Fig & Plum. Something I'd been hoarding. I am itching to start another quilt but I MUST MUST MUST sew vines on my daughter's wedding invitations and then start making the bridesmaid dresses. But the sooner I get those all done the sooner I can PLAY again! wow 600 posts, looks like you'll get 600 comments too! I have just finished piecing Retro Flowers and before I get back to one of my many unfinished projects I want to make something quick for Mother's Day next weekend. Any suggestions? Congrats! I'm working on many a project right now. 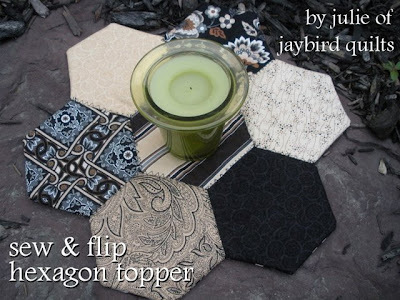 My favorite has to be my dresden plate quilt. Yay! 600, that's awesome! I'm currently sewing my do good stitches blocks and basting my Kitchen Windows quilt. Currently, I am working on a quilt for my grandma. It is for her birthday on May 10, but I think it is going to be a little late. 600 - Congrats! I am working on a double wedding ring table runner. 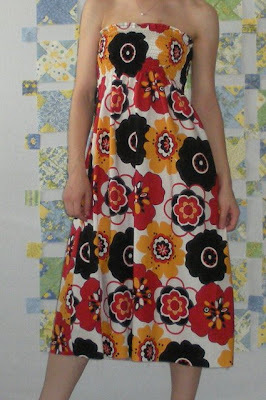 Oddly, I am between quilting projects, but am trying to finish a skirt for my sister, in between nursing assignmnets!! Congrats on 600th post .... Here's to the next 600 !!!! Currently working on Mothers Day gift - paper pieced teapot cosie & also needing to start a quilt for my nephew for the end of the month ... Thanks for the giveway. I am currently working on a film strip Ghastlies quilt and a Dr. Seuss baby quilt! As well as changing jobs/careers. Hi Julie. Congratulations on 600 posts. I enjoy your blog. Currently, I am working on Christmas Fun by Lynette Anderson, a Schnibble quilt called Doc, the binding for a quilt for my niece and numerous other small projects. I always have lots of things on the go at once ... never a dull moment here. Congratulations on 600 posts. I enjoy your blog. Right now I am working on the Farmers Wife quilt. I'm drafting my own pattern for a purse! Isn't a blog a great way of keeping track of what has happened. Well done! I am working on a teal and pink and grey half square triangle baby quilt for a colleague. Congratulation!!!!!! I think it might be strange to said this but I am making bandana quilt for my son's birthday that coming soon..it's light and dark green, brown, and black. Like camo but he like bandana so that what I am making now. Congratulations and another 600 please! I am planning my very first quilt (not decided on the pattern yet) for my mum's 75th this August! Congratulations; 600 posts is really awesome! I am working on some small zipper pouches for my daughters and on a larger quilt for one of their friends, who is moving away to attend university. We'll miss her! Congratulations!!! I am working on baby quilt called TV Dinners. I am using pinks and grays. Wow 600 comments! Quite an accomplishment....I am still working at getting up to my first 100! I am working on a Dresden Plate State Birds Quilt right now. Thanks for a chance to win. congrats on your 600th posts and all your accomplishments! I'm working on finishing up a postage stamp quilt to gift to a friend. Congrats on #600! As someone who hates to write, I can't wrap my head around it :) Anyways, I'm working on baby quilts. My friends have turned into rabbits and are multiplying like crazy. I have 4 baby showers in June that I'm trying to crank out quilts for. Not sure how many I'll have done and how many I'll be issuing IOUs. Ha. Right now I am working on making a border for a queen sized quilt and handsewing hexies together for a gmfg quilt (my 7 year project). Thanks for the giveaway to celebrate so many milestones you've achieved in such a short timeframe! Congrats on 600 posts! I've got several projects going right now. A couple quilts (one of them a neptune hexagon quilt based on the one you made - LOVE it!) and a few zippered pouches for gifts. I'm working on a sewing machine cover for the Modern She Made swap...just have to bind it. Then I'd like to make another little thing or two to send along with it to my secret partner. Congrats on reaching 600 and all your big milestones! Keep it going! Right now I'm working on a charity quilt for my local modern guild. Thanks for the generous giveaway! 600 Posts! That is impressive! I am working on two baby quilts for babies who have already been born. I need to get the lead out! I am currently working on basting my first quilt!! It's been a learning experience, but I'm addicted! 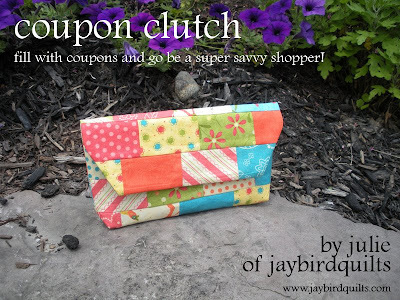 It would be so awesome to win some of your gorgeous patterns! Thank you for the chance to win!!! Congrats on your blog & success!!!!! 600 posts is kind of unbelievable. That would be one post a day for almost two years straight! I'm currently working on baby quilts. And if you can believe it, I cut an entire yard of fabric into the WRONG SHAPE (with the lazy angle ruler) before realizing what I was doing. Needless to say, there's a lot going on. Congrats on 600! I'm working on a charm square twirly skirt and a small lap quilt for my daughter's best friend who moved. My little one keeps asking when she's coming back. Her first heart break. I am doing the border of "At Home in the Woods" by McKenna Ryan and also piecing the blocks for "Nine Patch Envy" by Calico Printworks. Congratulations! I have had a great time reading your timeline!!! I am working on nesting baskets for our daughters and bags and baby quilts for the baby explosion that our daughters' friends seem to be having!!! I'm working on a few patchwork pillow shams for my bed! I'm working on my first large paper piecing project. I've done single blocks before but now I'm working on a challenge piece. I'm doing a wedding quilt with my Neptune fabric. 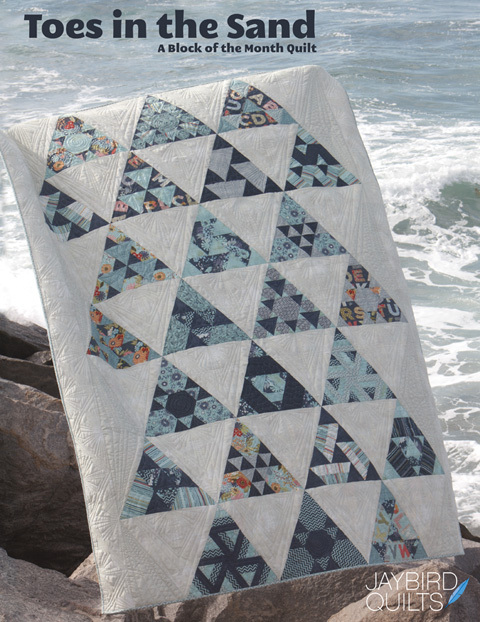 I am working on Triangle Toss and New Wave quilts. I love your blog! Right now I am piecing a square in a square quilt. I'm getting close to finishing the top. I'm just start working on a hexagon quilt. I love your work! I just finished Wallflower by Thimbleblossoms for a friend and will start on some UFOs next. I'm working on Opal, Ruby and Pearl from Moda Bake Shop in Hope Valley prints. You've sure accomplished a lot. I hope I can help you celebrate by winning. I'm working on the garden steps quilt with Clover and Violet, two quilts with Craftsy, and an online quilt bee--more than enough to keep busy! I enjoy reading your blog. I'm making a rag quilt for my new neighbor. I hope to get her interested in quilting. I am working on a machine appliqued quilt for my youngest grandson (Amy Bradley's Traveling Turtles--adorable) and a quilt for me (the first one I'll keep) called Urban Nine-Patch by Jenny Pedigo (Sew Kind of Wonderful). She has inspired this senior quilter for sure! Love your web site and congratulations on your 600th post!! I am currently working on my first baby! LOL! That has taken up most of my energy and free time, so my crafting has been put on hold. That isn't to say that I don't have many WIPS (Fruitcake under the tree skirt, a disappearing 9-patch for my nephew, 3 years of blocks of the month to do something with) not to mention the projects I want to make for the baby! Someday, I will get back into the groove, I know! I'm proud to say I've been following you about 2/3 of your odyssey! You have come so far, as I,and a lot of other people, knew you would. Congratulations!! Congratulations on your 600th post. I am currently working on a scrappy quilt that I am donating to the the comfort quilt project in my quilt guild. I am working on putting together a Nicey Jane Quilt top. Then I'll be working on the backing. wow! congratulations on six hundred posts, julie! right now i'm working on a snail trails (a.k.a. monkey wrench) quilt for my little boy's third birthday. Congrats Julie! I'm working on a "modern" baby quilt with no borders!! Congratulations! I'm working on getting back to sewing. I have a stacked coin quilt that needs quilting and another quilt that needs the appliqué and several that need starting... Thanks for the giveaway. Congratulations. I enjoy following your blog. I am working on a quilting a quilt for a silent action to raise money for a scolarship in the name of friend from high school who passed away. Wow I bet you can't believe how far you've come in 3 years. I've just started making a quilt for my mum using Valori Wells prints. Its going to be so pretty. I am working on a terrain sparkle punch and trying not get distracted by swoon quilt that is cut out. One project at a time! Congrats! Wow - 600 in three years. And I can't believe how much you've accomplished in that time. Awesome, Julie! I'm trying to finish a baby quilt for a friend's new little girl! I'm working on a couple swap items right now. Thanks for the giveaway! I am working on mini quilts that I am giving to my friends because we are moving this summer. Thanks for the great giveaway. I am working on finishing up Bleachers, one of the new patterns from Empty Bobbin Studios! I am currently working on my first hand applique quilt, a lot of work, but loving it so far!